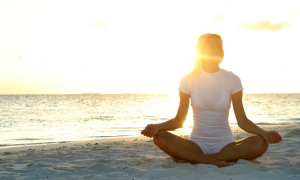 Join us as we explore some of Miami Beach’s most upscale, luxurious and culturally diverse neighborhoods. 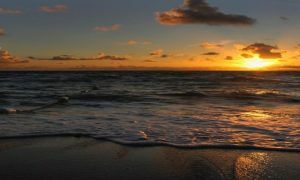 Read virtually any real estate, lifestyle, or travel publication from the past or present and you’re bound to find the barrier island of Miami Beach, Florida mentioned in it. 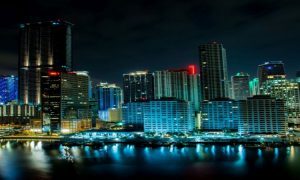 As one of the most upscale, luxuriously diverse, and richly cultural cities in the southeastern United States, Miami Beach remains a beautiful, sun-kissed metropolis full of an eclectic cast of denizens and some of the most elegant communities in all of South Florida. Let’s explore some of the city’s major residential highlights. The Indian Creek community is among the most upscale and exclusive places to live in Miami Beach. This affluent neighborhood has a little more than forty home sites and it boasts one of the highest incomes in the entire country. Countless public figures and celebrities have chosen to call Indian Creek their home at one point or another. Spanish singer Enrique and his legendary father Julio are residents of Indian Creek in addition to many other well-known celebs like superstar couple Beyoncé and Jay-Z, the longtime host of Spanish-language television program Sabado Gigante Don Francisco, the great Don Shula who once coached the Miami Dolphins, and the ultra successful model Adriana Lima, known for her appearances in the Victoria’s Secret Fashion Show. Indian Creek has a wonderful location west of Surfside and south of the Bay Harbor Islands, with unobstructed western vistas of Biscayne Bay. Explore west of Miami Beach to find the sextet of islands collectively known as the Venetian Islands. The six Venetian Islands go by the names of Di Lido, San Marco, Rivo Alto, San Marino, Biscayne, and Belle Isle and they can each be accessed by using the Venetian Causeway, which remains popular for biking, walking, and more. The islands are a stunning showcase of beautiful inland and waterfront homes. Since the Venetian Islands are in between Miami Beach and the neighboring city of Miami, their location allows residents to enjoy equidistance to the numerous sights and sounds in both cities. If you travel south of the Venetian Islands you’re going to eventually discover the islands known as Palm, Star, and Hibiscus Island. The name of Star Island hints at the people who call the lush community its home. Nestled east of Hibiscus and Palm, it is comprised of majestic estates and mansions that, true to the name of the island, are owned or were once the homes of many famous names. The Estefans (Emilio and Gloria), rapper and multitalented mogul Sean “Diddy” Combs, and one of the stars of Miami Vice actor Don Johnson have called Star Island home. Near the North Beach area is Biscayne Point. For those that want to live by the beach while still having the water as their backdrop, this community has inviting waterfront homes. 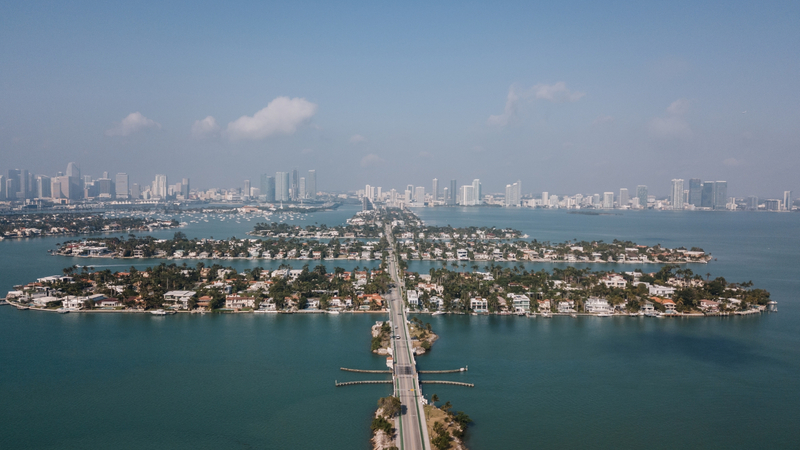 Furthermore, Biscayne Point is close to the beaches of North Shore Park, the shopping at Bal Harbour to the north, and the sunny sands of Sunny Isles Beach also to the north. 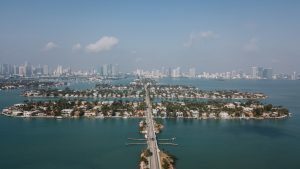 Normandy Shores and its neighbor Normandy Isles, La Gorce Island, Allison Island, the four Sunset Islands near the City Center, there is no shortage of inviting communities in Miami Beach.